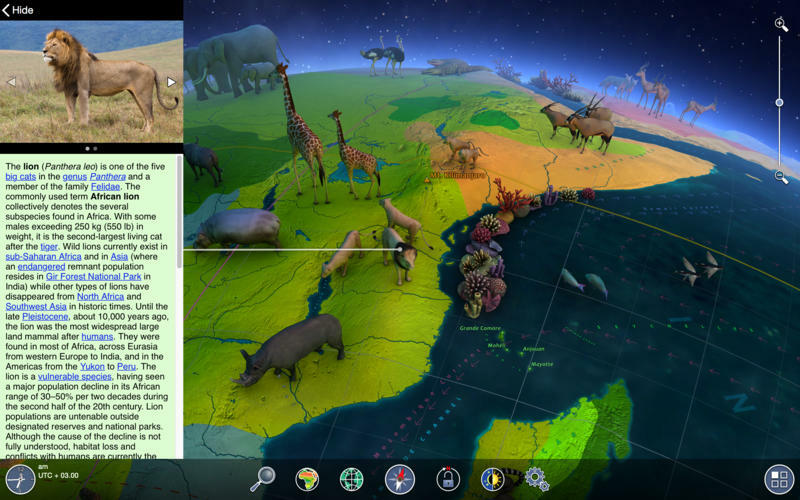 This interactive 3D globe features wonders of the world, political and geographic maps, and weather. Discover a lot of fascinating facts and useful information about our planet! Original and colorful graphics, user-friendly interface and accurate information – this is what Earth 3D - Amazing Atlas is all about! And much more! New data is constantly being added, so please expect further updates! Your mobile device must have at least 480.6 MB of space to download and install Earth 3D - Amazing Atlas app. 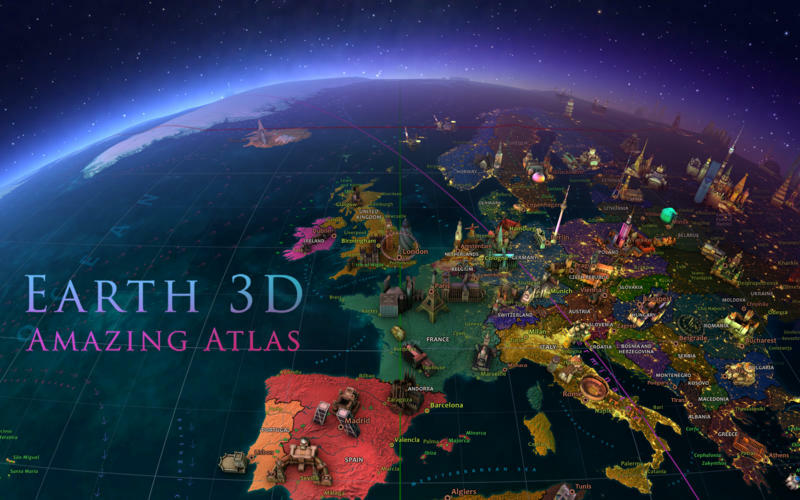 Earth 3D - Amazing Atlas on sale for only $0.99! Download it from iTunes now to save money. Hurry in for the deals, they are updated daily. 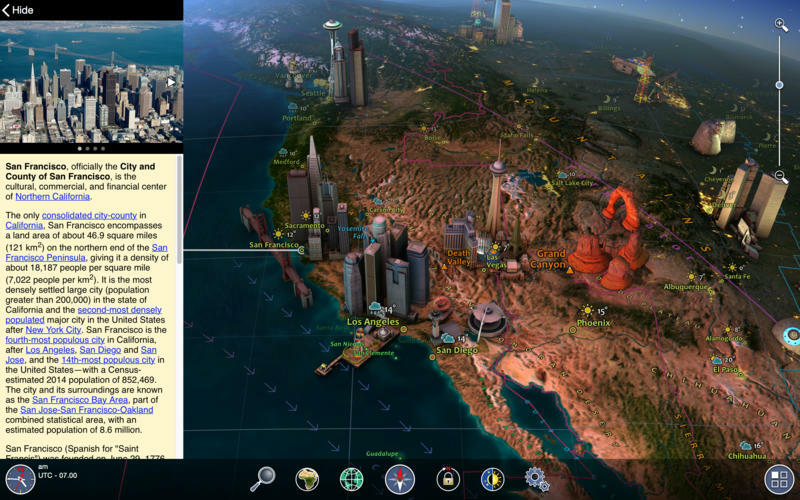 If you have any problems with installation or in-app purchase, found bugs, questions, comments about this application, you can visit the official website of 3Planesoft Igor Panichev at http://www.3planesoft.com/mac/earth-3d-amazing-atlas/.